Just you have to Purchase anything and Pay by Wallet to grab this All Below offers. 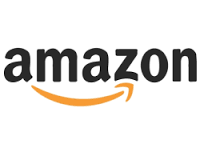 Here we regular Updates all Amazon Pay balance India Coupons, promo codes, Cashback offer etc. To avail below Amazon Pay Offer You have to Pay Via Wallet so Firstly Add Money in your wallet then Apply below Latest working Coupons , Promo codes & Cashback offer. Between 1st Jan to 31st Jan 2019 , Pay using ATM/Credit/Debit Cards and get 100% Cashback upto Rs 100 for all users. Cashback can take upto 10 Days, If you cancel your order then you will get Refund Directly to your card. Increase your Wallet Limit from Rs 10K to 1 Lac by Just completing Kyc Directly at your Home without any charges. Even they are giving Free Rs 200 in your wallet. Now you Can Add money in your Amazon Wallet From your Home Offline, When Amazon Delivery boy Will Deliver any Product. At this Time you Can Load Money by giving Cash. You will Get Cashback up to Rs. 100 on Rs.100+ for First Time, Repeat Users will get 10% Cashback upto Rs.500 via Doorstep Amazon Pay balance Load. Valid on almost all cities. Add Rs. 3000 or More in your account Between 28th Sep to 8th Oct 2018 & Get flat Rs 300 Cashback on Rs. 3000, For Maximum Benefits add Rs. 3000. Shop Between 20th July to 1st August 2018 & get Extra Rs 100 Cashback on just Rs. 500+ in your Amazon Wallet under this amazon pay balance offers. To Grab Cashback , Make your Order More than Rs. 500. If you are Going to buy any Product at amazon India then Firstly Load Your Money In wallet then Pay by them to Get 15% Cashback up to Rs. 150. Offer is valid from 1st Nov to 7th Nov 2017 and Your cashback will be reflect in Your account within 20 days. You have to Pay by Only pay balance to get cashback. Valid for all users but Maximum Rs. 150 per account & valid on First Load Money. Niki App Will help you to Complete Your Recharge , Bills & Much More via Chatting. Now you can Get Extra 25% Cashback Upto Rs. 100 via Amazon payments Once till 30th Nov 2017. Only Bangalore, Chennai,Mumbai & Hyderabad Users can enjoy Free Rs. 500 Wallet on Selling 5 used books/music/Laptop/phone/Tablet on Amazon, Just you have to Post ad and ship the used item for which an Ad is posted within 2 days from the date of order received. Offer is valid till 4 Sep 2017 but you have to sell 5+ Items to avail this offer & One item in Mobile phone/Laptop/Tablet. You can also Sell 5 Jewellery Products instead of books But New Items. Visit Amazon Product Listing Page. Join Amazon Prime Membership Between 14/6/17 to 28/6/17 & Get 20% Cashback up to Rs. 300 on First Load Money. You have to Load Rs. 500+ to Avail the Offer. Cashback will be Credited by 19th July 2017. Offer valid on Minimum 3 Purchase of Rs. 500+ using Pay balance. You have to make Full Payment using Amazon Wallet , No other payment instruments included will only be eligible for the offer. Valid only on One Order per Day. Cashback Will be credited by 30th April in Your Amazon Account. Prime Customers can avail Up to Rs. 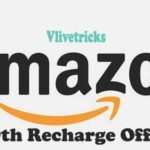 300 cashback & Non – Prime Customers can avail Rs. 200 Cashback. If you activated Amazon Prime membership then You can avail this Offer or If you wants to activate then Check amazon Prime Free trial. All terms and conditions of this Offer is same as above but in this You can avail up to Rs. 450 Cashback. It’s Very simple Just you have to Select amazon wallet at the time Of payment where we Select cash on delivery or Credit/debit cards. First of all Visit Amazon Site. Now Check Updated Wallet Top up Promo codes to get More Cashback on Add Money. Now visit Amazon Top Up Account page. Once You added Money in your Amazon Wallet. Then You can Pay From this balance Credits on Amazon and Enjoy Above Offers.